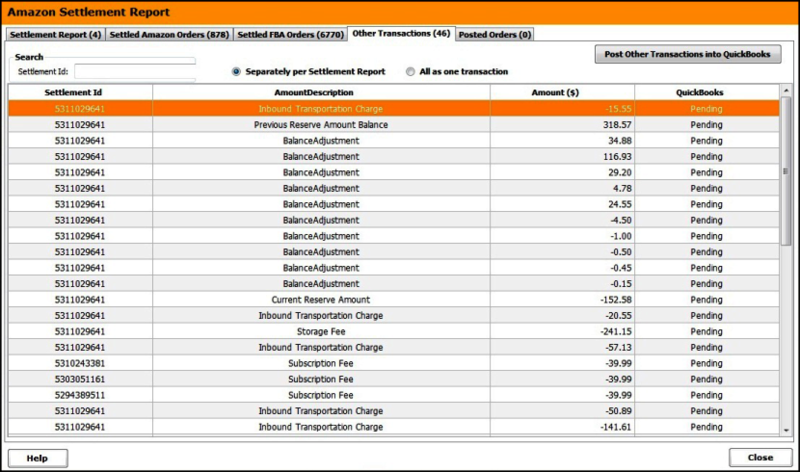 How do I download Amazon settlement reports in Unify Desktop? Generally the settlement report closes out the $$ generated from all sales in an Amazon sellers account, for a certain pay period. Usually there are two settlement reports done per month, generally every 15 days. After a settlement report is generated by Amazon, the seller receives payment for all the goods sold in their Amazon account, in the form of a direct deposit into their bank account. Each report has a breakdown of cost of goods (what customer has paid) , Amazon commission fees, shipping credits and total cost of the good after fees (what seller gets). 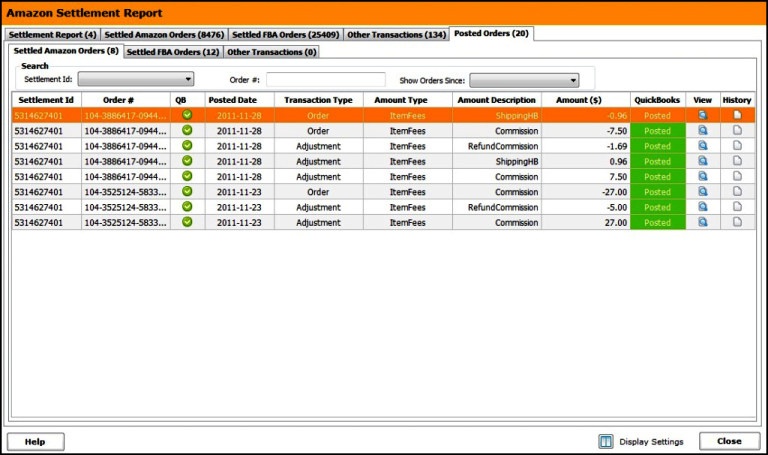 It doesn't calculate the profit made from each order but that can be done by the customer in QB. To get the Amazon Settlement Reports, please go to Orders >> Amazon Settlement Report and click on 'Get Reports'. Alternatively you can manually import them. 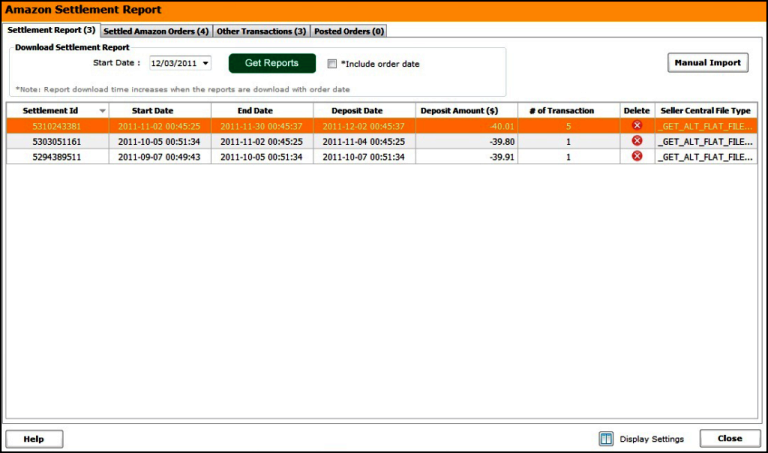 Once the settlement reports are downloaded, you will be able to see the details in the Settlement Report tab. If you need to, you can click the delete icon and delete each downloaded report individually. You can view Amazon Merchant orders in the Settled Amazon Orders tab and can also post expenses and fees into QB. Should you need to, you can even delete each downloaded order individually. You can view Amazon FBA Orders in the Settled FBA Orders tab. 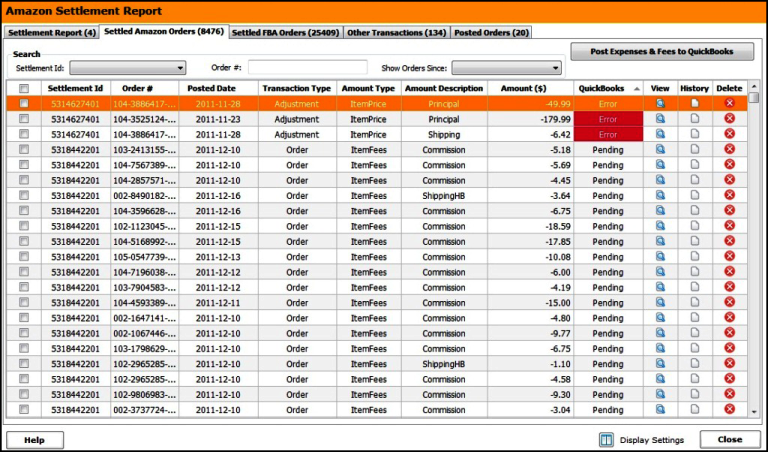 You can also post Expenses and Fees to QB from here and you can also delete each downloaded order individually. You can view subscription fees in the Other tab. 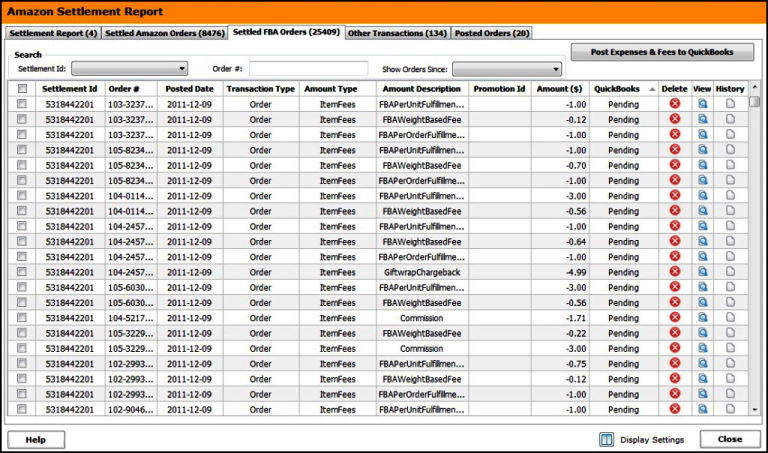 The posted orders tab in this section will have a record of all the postings made. You can click on the view / history icons to see further details.